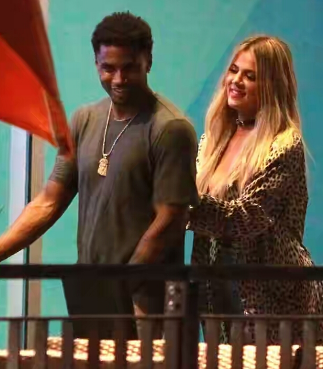 Las Vegas, NV, United States (4E) – Khloe Kardashian and Trey Songz might be more than just friends as new reports have surfaced claiming that the two were spotted cozying up together at a Las Vegas night club. The youngest of the Kardashian sisters was linked to Trey Songz days ago after they were spotted flirting during her 32nd birthday celebration. According to new reports, Kardashian arrived at the Drai’s Nightclub at The Cromwell in Las Vegas alongside Trey Songz . He was set to perform there and Kardashian reportedly watched the show from a stage side VIP booth. She then joined the 31-year-old during an after party in the basement of the nightclub. They also reportedly worked out together noting that Kardashian had to cheat on her ab set because she was busy looking at the singer doing pull-ups. They are reportedly taking things slow and are doing a lot of interacting. More on the flirting between the two during the birthday celebration of Kardashian , they were seen outside Dave & Busters getting touchy-feely. She reportedly caressed his back while outside the Hollywood hotspot. Kardashian has been linked to James Harden, French Montana, and Odell Beckham Jr . since her split with her estranged husband, Lamar Odom.